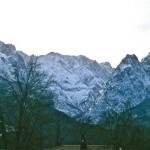 Don’t make the mistake of thinking that autumn is the only time of year to visit Munich. If the Oktoberfest appeals, be aware that the city’s famous beer festival begins not in October but on the penultimate Saturday in September. Bavaria’s capital is dotted with world-class museums and historic landmarks that make ensure it’s worth visiting throughout the year. The obvious starting point for any tour of Munich is Marienplatz, the square that marks the point zero from which Munich’s measurements are reckoned. A golden statue of the Virgin Mary holding the Infant Jesus stands at the heart of this most central of squares. 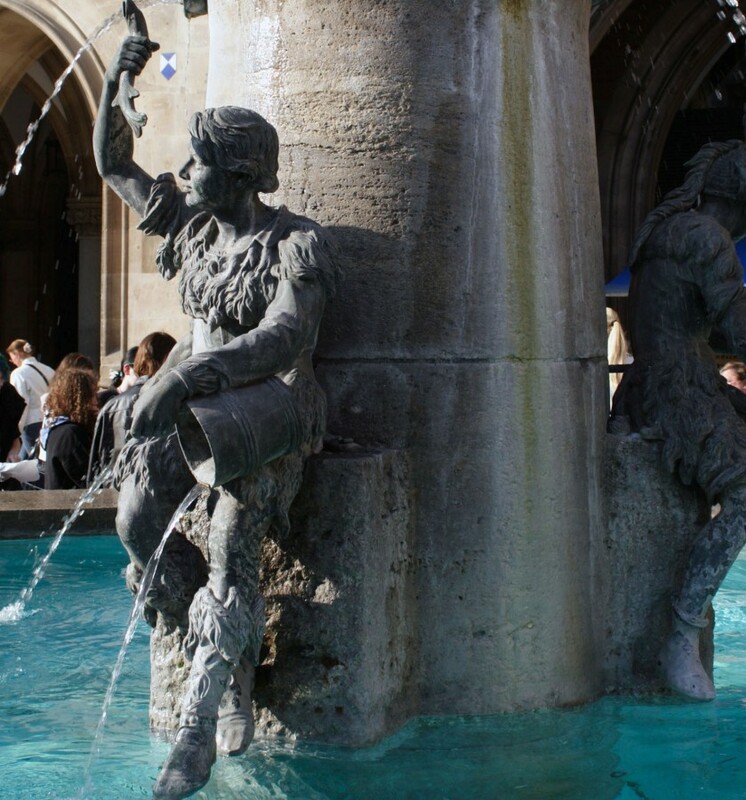 Near to the entrance of the Ratskeller restaurant stands a fountain topped by a fish — it’s a popular central meeting place for locals, so don’t be surprised if you see people of all ages milling around the fountain. Visitors gather on Marienplatz at various point during the day to view figures depicting characters from the city’s history dance when the Glockenspiel chimes on the Neues Rathaus. Munich’s ‘new’ city hall is a Neogothic structure that opened in 1874. Like so many of the city’s buildings it was heavily damaged by the bombs that fell during the aerial bombardment of World War Two, so what you see today is largely the work of post-war restorers. One of the best places for an alternative view of the square and town hall is from the tower of the nearby Alter Peter church. The nearby Viktualienmarkt, a market selling gourmet produce made by artisanal producers from across Bavaria and beyond. Honey, cheese and fruits count among the foodstuffs offered for sale. 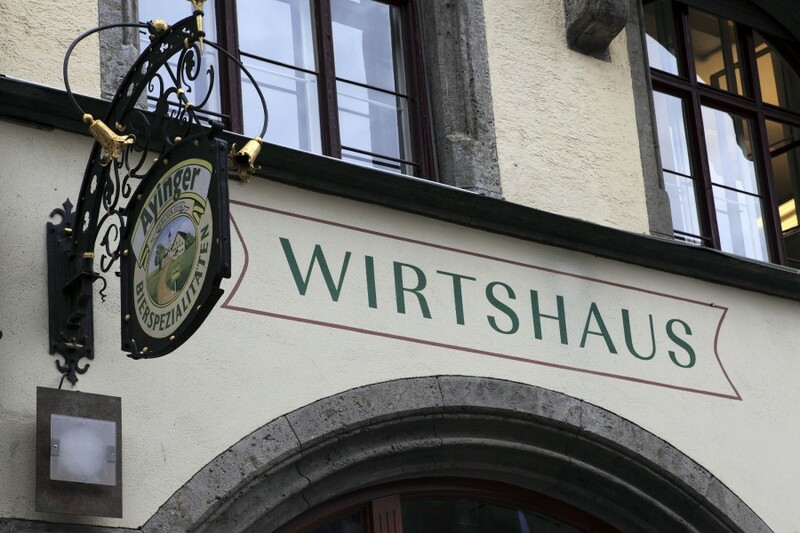 You’ll also find Weisswürste, meaning ‘white sausages’, which are made with veal and count among the city’s delicacies. Traditionally they are eaten for breakfast with sweet mustard, a salt-crusted pretzel and a glass of Weissbier — wheat beer. Don’t be surprised if waiters give you a curious look if you attempt to buck tradition by trying to order them after the Glockenspiel has chimed noon. Locals know they are for mornings only. Shoppers who enjoy upscale stores are likely to enjoy browsing clothing in the Fünf Höfe shopping mall, products within the Ludwig Beck department store and the chic, designer boutiques of Maximilianstrasse. On Residenzstrasse — the street that runs by the Munch Residenz, Germany’s largest urban palace — you’re likely to observe many bypassers rubbing the noses of the lions on decorative shields. It’s said to bring luck. The regular contact ensures that the leonine noses gleam bright, though not quite as splendidly as the works by medieval goldsmiths that are on display within the Residenz’s impressive Treasury. Odeonsplatz is the home to the Theatine Church, whose Rococo façade is ochre in colour, and the stage-like Feldhernnhalle, which was built to honour the Bavarian Army in the mid-19th century. The square was the location of a deadly clash between National Socialists and the Army in November 1923. If you’re in need of a break while in this part of the city, you might find a free seat on the terrace of the Café Tambosi, Munich’s oldest coffee house, and have an opportunity to sit and people watch while enjoying a refreshment. Munich had close associations with the rise of Nazism during the first half of the last century. Adolf Hitler lived in the city for a time. From the Bürgerbräukeller, Hitler attempted to lead the coup of 1923 that became known as the Beer Hall Putsch (it was suppressed by the fighting on Odeonplatz). Documents dating from the dozen years of his party’s oppressive rule are held in the Munich Documentation Centre for the History of National Socialism on Brienner Strasse. Round the corner, on Arcisstrasse, the building which now hosts the music school was the place to where Neville Chamberlain, Britain’s Prime Minister, headed in 1938 in the hope of negotiating peace in his time. 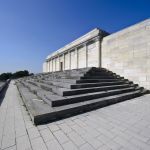 Should you want to find out more about the region’s history and how it related to wider European cultural trends, head to the Bavarian National Museum. 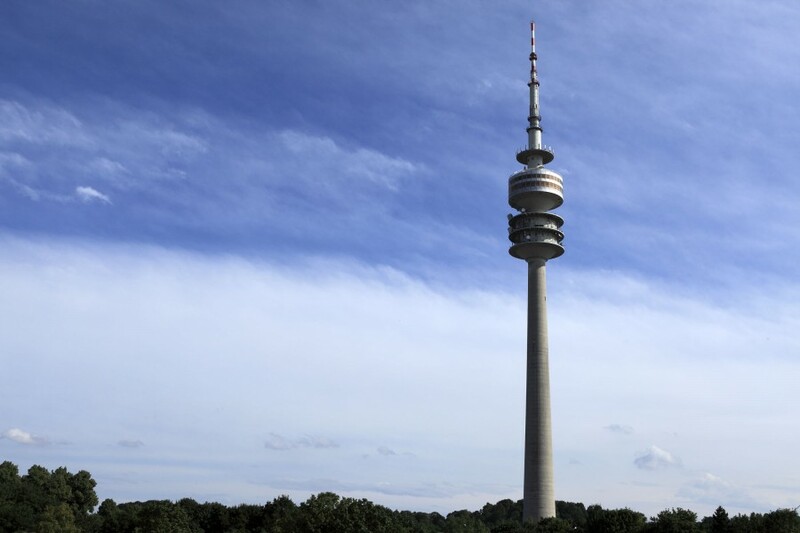 If it’s a fine day, you could take a stroll within the Englischer Garten, a landscaped park that has an area larger than Central Park in New York. Even on chilly days, you’re likely to see surfers taking turns to rise the fast-flowing current of the Eisbach, which flows through the park. 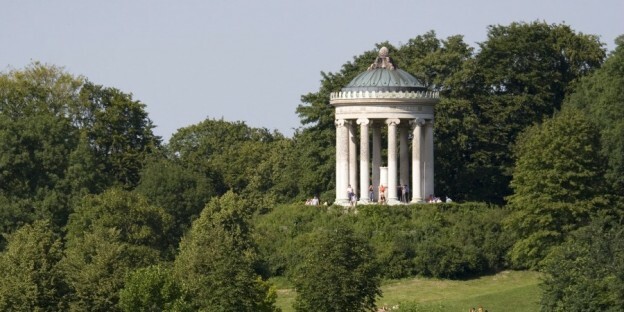 For cityscapes, head to the vantage point provided by The Monopteros, a temple-like hilltop folly that offers views towards the city centre. To viewing artworks, head to Maxvorstadt. The area is known as the Kunstareal, a term meaning ‘Art District’. The Glyptotek, which will be undergoing restoration until late in 2020, displays Classical sculptures. The Brandhorst Museum, in contrast, displays contemporary art and holds the largest collection of Cy Twombly works outside of the USA. For medieval masterpieces head to the Alte Pinakothek. The Neue Pinakothek displays works by the likes of Van Gogh and Thomas Gainsborough. 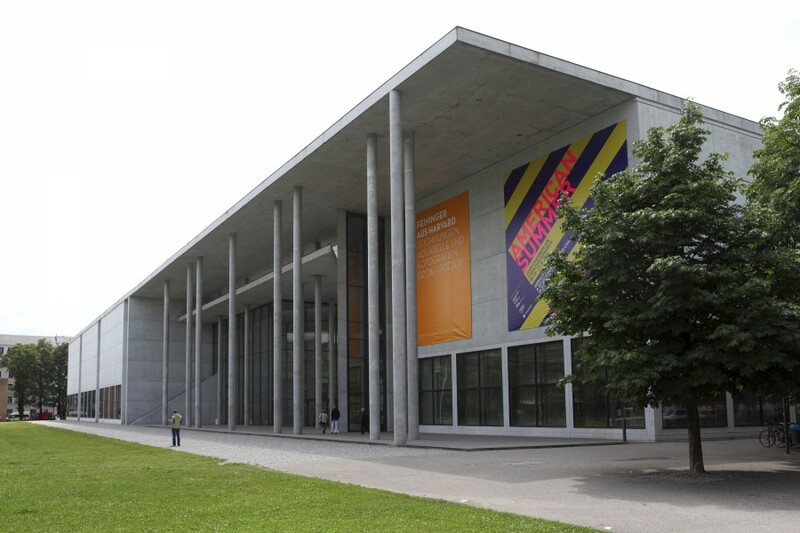 For applied design and art by renowned 20th-century artists, enter the Pinakothek der Moderne. Prefer science and technology? The Deutsches Museum is the world’s largest in its sphere of specialism. Plan an entire to view the exhibits and pick up a plan of the day’s demonstrations when entering. They include an explanation on how and why lightning strikes, dramatically illustrated. The museum holds artefacts relating to space exploration and historic communication devices. There’s much to do outside the two-week period of the Oktoberfest. Whatever the season, you’re never going to struggle to get a beer in Munich. The centrally situated Hofbrauhaus is always a good option for a litre in a glass stein. 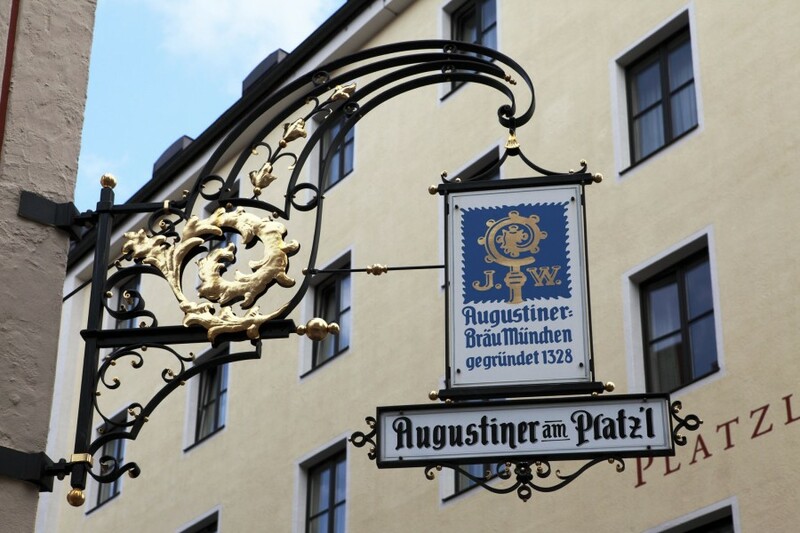 To learn more about attractions in and around the city, see the Munich, Bavaria and Germany tourism websites. 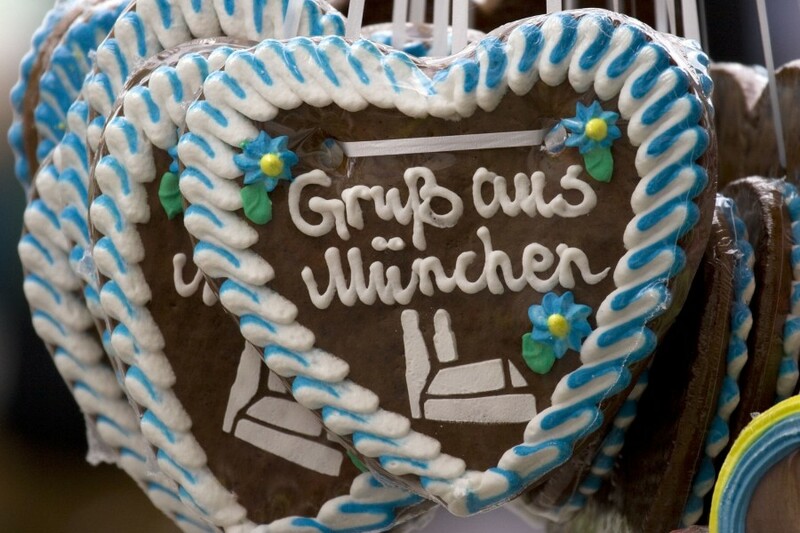 Munich is served by several major airlines, including British Airways, Lufthansa and KLM. The airport is linked by the S-Bahn to the city centre. The Eurostars Grand Central (35 Arnulfstrasse, Munich 80636) is a four-star hotel 1.5 kilometres from the heart of Munich. The hotel has 10 apartments, eight suites plus 229 guestrooms. The facilities include a rooftop gym and sauna plus an onsite restaurant.